These were not thick Chips, by they did have a sturdy and rigid feel to them. The 'Riplets' and the hollow areas between the higher peaks provided a great mix of textures for the tongue and mouth roof to crunch into. A loud brittle snappy noise ensued. 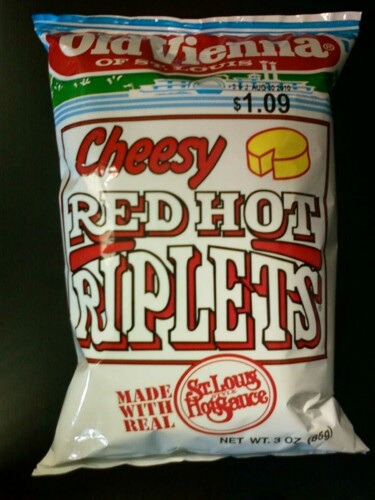 These Chips enjoyed even and wide Ripples. Although there were too many broken Chips and others with edges chipped away. There was a little browning on some Chips, but not to the detriment of the bag's contents. There was darkish red seasoning that had been spread liberally, presumably by hand because there were a few with loads on.